The Ideos and other Huawei phones (Y210 and U5130) have proved to be a great bargain for Kenyans who want an Android smartphone but without the resulting dent in the pocket. 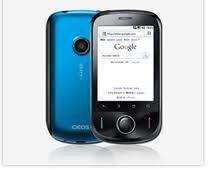 At less than 8,000 bob, many Kenyans have been able to access cellphone features that only smartphones provide. Unfortunately, Airtel users have been suffering because configuring Airtel Internet settings on an Ideos and other Huawei models can be a real headache. The automatic settings you receive when you send the word “ALL” to 232 do not work and calls to customer care either go answered or you receive settings that do not work. For many customers, only the inconvenience of having to visit to an Airtel Office resolves the problem. After much trial and error, I have finally found out the exact settings that work. See below. Scroll down and select ‘mobile networks’. Switch off your phone, wait five minutes and switch it back on. One would expect that the APN would be something like ‘ke.airtel.com’ but it appears that Airtel have never changed the APN. They still use the old APN that was in use when the company was named Celtel. These settings should work on other low end Huawei models such as the Y210 and U5130.